Mysore, parliamentary constituency number 21, comprises eight assembly constituencies: Madikeri (208), Virajpet (209), Piriyapatna (210), Hunsur (212), Chamundeshwari (215), Krishnaraja (216), Chamaraja (217), and Narasimharaja (218). Madikeri and Virajpet are the most recent entrants in this parliamentary constituency which, till the 2007 delimitation process, consisted of only the other six assembly constituencies. From 1957 onwards, and for a long time, Mysore sent a member of the INC to represent its people in the Parliament. Srikantadatta Narasimharaja Wadiyar, a scion of the erstwhile royal family of Mysore, was one of them. BJP made inroads into this seat in 1998 when CH Vijayashankar of the BJP was elected. Since then, people have been choosing either the INC or the BJP. The current Mysore constituency is a mix of tradition and history (Mysuru city), bravery and coffee estates (Madikeri), and agricultural sector. 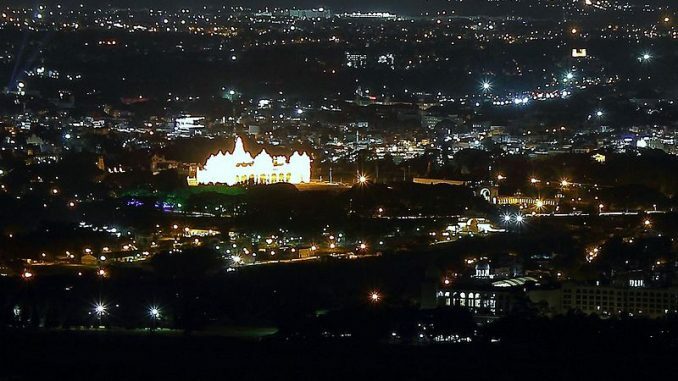 While the city of Mysuru has seen many from the IT industry settle here, the rest of the constituency is largely rural in heart. According to the website of the Chief Electoral Officer, Karnataka, as of 16th January 2019, the constituency had a total of 18,57,713 voters – 927,676 male, 929,889 female and 148 others. This is one of the few constituencies where the number of women voters exceeds that of men. 22 candidates are contesting from Mysuru this time. Seven of them represent political parties; the remaining 15 are independents. Links to their affidavits and other details can be found towards the end of this article. The Election Commission of India (ECI) rejected seven nominations (from six people with one of them submitting forms both as an Independent and as a member of INC) from this constituency, while three candidates withdrew their nominations. Three women are contesting from the constituency this time, as opposed to two in the 2014 election. 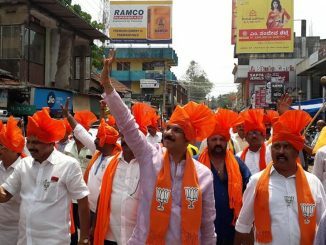 Pratap Simha, the incumbent MP of Mysore Parliamentary Constituency, is contesting again on a Bharatiya Janata Party (BJP) ticket from here. 1. Cr. No. 350/2018 at Bilikere Police Station, Hunsur; secs. 279, 353, 188 and 332 of IPC. Complainant Geetha, Addl. SP Chamarajanagara Dist, alledged that on 3 Dec 2017, while Sec 144 was imposed in Hunsur town in view of Hanuman Jayanthi and Eid Milad celebrations, he was stopped near Bilikere Junction for violation of Sec 144. Further, he allegedly drove the car rashly by hitting the barricade placed in the junction and also drove over the right foot of the complainant, in the process obstructing the police from doing their duty. 3. CR. No. 27/2019 in the VV Puram Police Station, Mysore; RP Act 1950, 1951, 1989 u/s 127/A. It was alleged that he distributed booklets relating to his Party and constituency without mentioning Publisher, and number of booklets. Performance in Parliament: During his current (and first) term as MP, his attendance in the parliament stood at 89 percent. He participated in 13 debates and asked 685 questions. Some information about the positions held by him while an MP is given here. Mar 2019: Most recently, he is alleged to have violated the election code. Jan 2018: In the news for organising Hanuman Jayanthi processions, breaking through a barricade, and getting arrested thereafter. Dr B Chandra is contesting on behalf of the Bahujan Samaj Party (BSP) from the Mysuru-Kodagu Parliamentary seat. In the past, he had contested in the Karnataka Assembly elections during 1999 as an Independent, and again in 2004 as a BSP candidate. He had lost both elections. C H Vijayshankar is the Congress candidate for this seat. A former member of the BJP, he is being supported by the JD(S) in the current election. Known to be a supporter of ex-chief minister of Karnataka Siddaramaiah, he quit the BJP prior to the 2018 assembly elections and joined the Congress, allegedly because he was upset with the BJP for fielding Pratap Simha from the constituency during the 2014 LS elections. A Cabinet Minister during the BJP Government in Karnataka including as minister of forests, and small scales industries minister, he was fielded from Hassan instead Mysore during the 2014 Lok Sabha elections where he was defeated by ex Prime Minister H D Deve Gowda. He had, in the 2004 elections won against INC’s Srikantadatta Narasimharaja Wadiyar. Background: MLA from Hunsur, two-time MP in the 12th (March 1998 – April 1999) and 14th (2004 – 2009) Lok Sabha, MLC between June 2010 and 2016. Five candidates currently have some sort of criminal cases against them. While the youngest candidate is 30 years of age, the oldest in an octogenarian. While the declared assets of one candidate is around Rs. 15,000, that of another is Rs 6 crore. More details of the candidates can be found here. In the 2014 election, there were over 17 lakh registered voters in the constituency: 8.67 lakh men, 8.55 lakh women and 141 others. Of them, 67.30 percent i.e. around 11.57 lakh people, cast their votes (5.96 lakh men, 5.61 lakh women, 13 others, and 2282 postal voters). 15 candidates contested, of whom 13 forfeited their Deposit. Prathap Simha of BJP won from the constituency while Adagooru N Vishwanath of the Congress was the runner-up.